The launch of the PC dining chair and bar stool was brought about by means of a new French Bistro concept, Petit Chou, located in the neighborhood of Cabbagetown (Atlanta, GA). Petit Chou features locally sourced, mediterranean inspired cuisine and the work of local craftsmen, including us. This product highlights digital fabrication at every detail with CNC routed wood, laser cut steel, and bespoke making techniques. 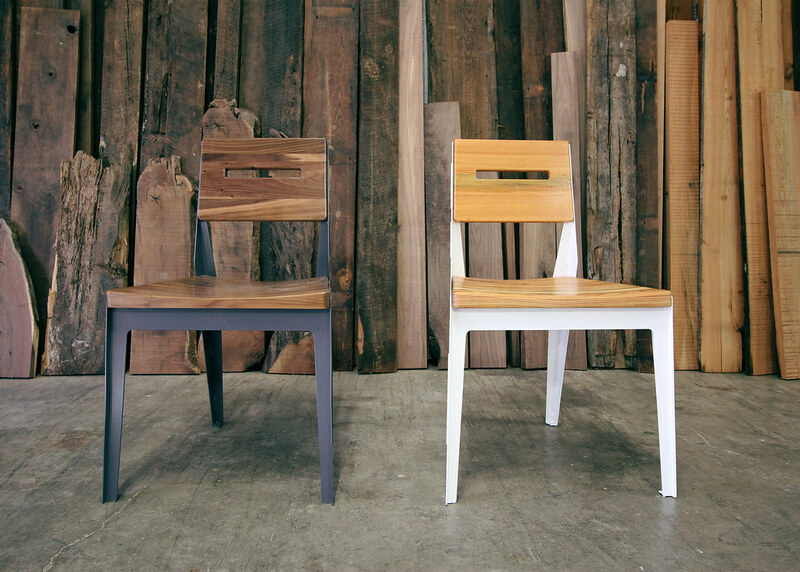 Both the chair and stool were the design of SOU’s Jonathon Quinn with the wood production done by South of Urban in conjunction with the metalwork performed by Reclaimed by Demant, out of Atlanta’s Westend. As of now, this product is made to order with several colors and wood selections from which to choose.